For a long time, YouTube artists didn’t have a way of properly communicating and sharing their work. But they do now. It’s #DoodleTube. 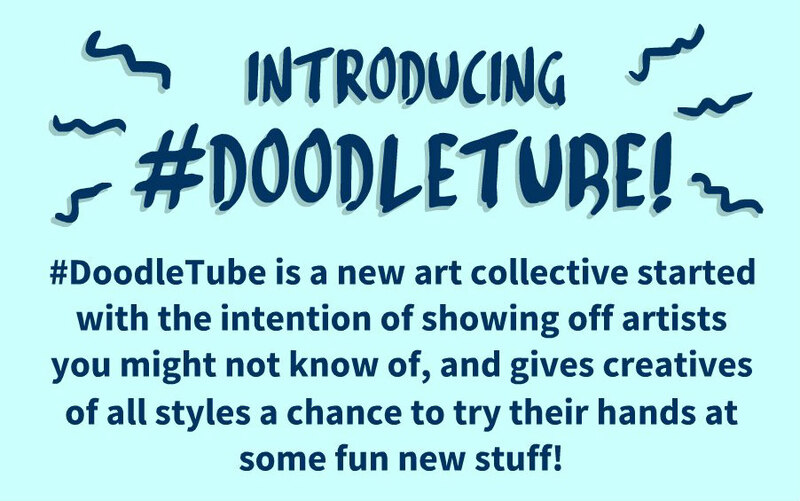 “Every artist at every level feels like they’re just throwing their work out into the social media void… I think DoodleTube solves that problem,” reflects Guy Larsen. DoodleTube is truly collaborative: a small community with a symbiotic relationship between the people who run it and the contributors. It was started as a way of creating a dialogue between YouTube artists that wasn’t there in the same way that it was in other communities of creators. We decided to speak to some of DoodleTube’s founding members – Guy, Matt Ley, and Chloe Dungate – to find out more about this growing community. A Facebook group chat turned DoodleTube from an idea to a reality, with Matt creating the Twitter account @Doodle_Tube to really kickstart the project. Matt was inspired by an account called @CutieSaturday, “which does a similar ‘retweet user-submitted art’ thing, only ours has these weekly themes and we retweet all week long”. Each week on Twitter, they sat a challenge for their community to draw something specific. TenEighty HQ’s highlight so far was Sammy Paul’s idea for #FavFilmDT. Seeing different artists interpret their favourite films was fascinating, especially when a number of them chose the same ones – for example, we saw several different takes on Hayao Miyazaki’s Spirited Away, a great film that is obviously significant and influential. Matt, Guy, and Chloe all have something to say about how the DoodleTube venture has affected their own affected their work. 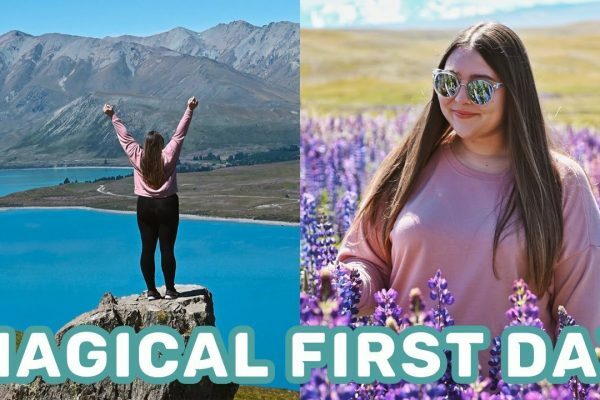 “I’m always late to challenges and it’s kind of a double-edged sword, because first I see everyone else’s amazing work on my TL and it’s like, ‘Aww man, why didn’t I think of that? '” shares Chloe. “But after I’ve let myself feel jealous for a bit, I start to feel proud of and inspired by everyone. 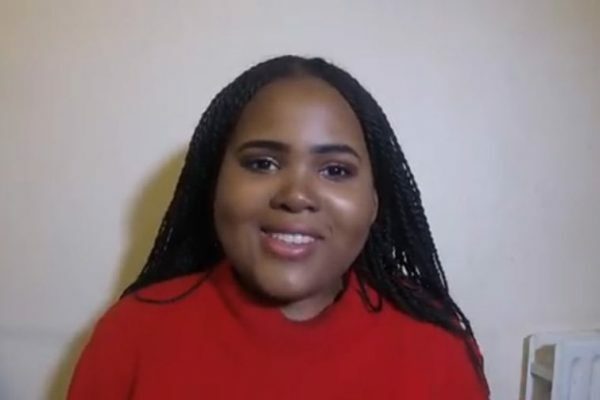 By seeing others think outside the box, I kind of… become more aware of the box in the first place and feel compelled to really push my imagination to try a bit harder,” she adds. Guy agrees, saying that “seeing a lot of creatives all throwing ideas in the same direction has a motivational impact on me”. Matt says that he loves “watching the videos people make – Charlie Belle and Guy Larsen in particular I find fascinating to watch, their techniques always amaze me”. Seeing the huge variety of work people are sharing and submitting is inspiring him to get out of his comfort zone. “People have recommended I try things such as limited colour palettes, or using a different medium to what I’m maybe more comfortable with,” he shares. So, what’s next for this exciting new community? “Eventually there might even be the possibility of us setting up a YouTube channel specifically for this, where we’d have round-ups of our favourite artwork from each week,” reveals Matt. Colour us excited to see that! Whatever the future of DoodleTube, we are awaiting it with bated breath. We know that with the sheer amount of talent that we’ve seen so far, whatever it is will be incredible.